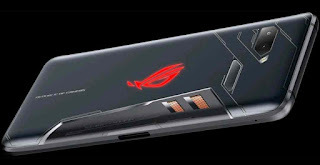 Asus ROG Phone Available on Pre-order at Finnish Carrier Telia For €999 - Asus announced its gaming-centric ROG phone way back in June, but the company is yet to launch the device anywhere in the world. Now, however, a Finnish telecom company has put the handset up for pre-order, revealing its possible price-point. According to reports, Finnish carrier Telia has listed the Asus ROG phone for pre-order at €999 (around Rs. 83,300) in the country, leading to speculation that it may be priced at similarly exorbitant levels in the rest of the world as well.